Just how do you avoid aquarium fish diseases? Fish diseases are the scourge of every hobbyist's aquarium so it naturally follows that disease prevention should be the number one goal. But once the water quality starts to deteriorate and fish immunity starts to get compromised then you'll find your fish going "belly up" quite quickly. Performing regular water changes keeps the environment in good balance. Having the correct filtration also helps to a major degree, going "hand in hand" with the quality of the water. If you do suffer disease in your tank you can usually spot it because the fish will look and behave abnormally. Things to watch for are: gasping for air at the surface of the tank; spots or lesions on their bodies; inactivity, brooding or hiding; clamped fins; swelling of the eye or abdomen; loss of appetite. This list is not exhaustive though and you should familiarize yourself with normal fish behavior, related to what you have in your tank of course. 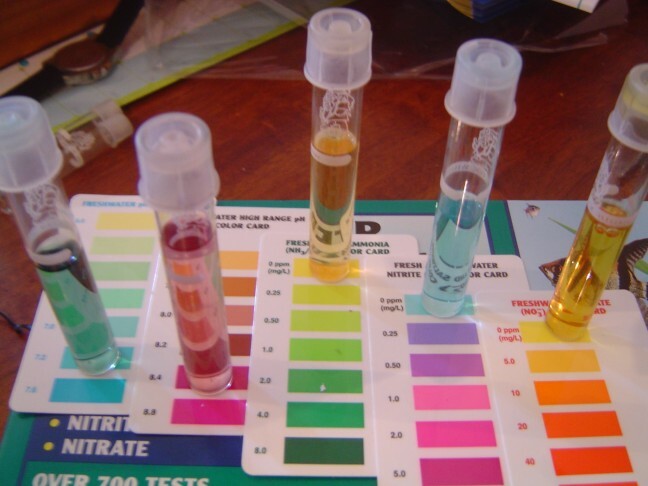 Additionally, keep a close eye on the ph level in your tank related to the type of fish you're keeping. And don't overcrowd your tank as this can lead to a major source of stress. * Ammonia build up in the water - Ammonia is released into the water by fish via their gills, urine and solid wastes. Uneaten food and other organic matter can also put ammonia into the water. High levels of ammonia are highly toxic and obviously deadly to fish. Even lesser amounts will damage sensitive gill membranes and effect normal respiration. It is known that even trace amounts of ammonia can suppress a fish’s immune system leaving the way open for pathogens to invade the once healthy specimen. * Nitrate and nitrite build up - Similar in effect to ammonia build up, nitrate and nitrite poisoning is lethal to your fish in most cases. Nitrate is produced via the biological filter. The bacteria that live in this filter usually do a good job of converting ammonia and nitrite into nitrate. When the nitrate level becomes too high and out of balance the water quality is compromised and fish diseases are the predictable outcome. Similarly, high levels of nitrite will lead to irregular respiration and very quickly - the death of your fish! * Temperature and ph shock - When an aquarium environment is changed i.e. water temperature and ph levels being outside the normal range or optimal levels, fish start to become stressed. When stressed the fish's natural immunity will drop rather sharply leading to opportunistic pathogens overwhelming it. Indeed, if fish are introduced to a healthy tank carrying a large number of these pathogens then the original fish could become overwhelmed too. * Chlorine and other heavy metal poisoning - The chemical chlorine that you find in everyday tap water in most cities around the world is generally deadly to fish. As in ammonia build up, chlorine can affect the sensitive gill area of your fish and in effect, the fish become asphyxiated. The best way to avoid this is to add a reputable water ager or conditioner to the water before you put it in the aquarium. 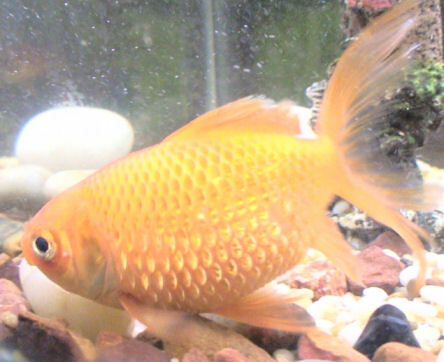 Other heavy metals can enter the aquarium environment via water changes too. Again, water conditioners are one of the best and easiest ways to overcome this problem. What are some of the actual fish diseases that occur when my aquarium environment is compromised? * Ich or white spot - Ich, or white spot as it is commonly known, is a highly contagious parasite that attaches itself to the body of your fish. You will notice fish with this condition rubbing their bodies against the gravel in an attempt to remove the irritation. If untreated, white spot can be fatal. Luckily it is quite easy to treat. You can raise the temperature of the water a few degrees which kills it in its "free swimming" stage before it attaches itself to your fish. Also there are medications available from aquarium shops such as "Methylene Blue" or "Malachite Green". Indeed, these treatments also cover a wider variety and spectrum of ailments but you need to be careful with dosages as the medication itself can become another "shock" that lowers fish immunity. * Fungus and fin rot - If your tank's water conditions have been compromised as described above your fish can be susceptible to fungus infections and fin rot. You will notice the fungus growing like white cotton clumps all over the fish’s body or their fins wasting away as if they've been eaten by a predator. Removing the fish to a hospital tank where medication and antiseptics can be administered is a good idea. * Internal infestations - You'll notice that a fish has internal infestations of worms (usually called dropsy) because their bodies will become bloated and their scales will protrude from their bodies. Prior to that they will have lost interest in eating and perhaps become listless. Unfortunately, by the time the fish are displaying signs of dropsy it is usually too late to save them. Their internal organs such as the kidneys may have become too compromised to be nursed back to health. Keeping a tank environment balanced for optimal health is really the best way to avoid internal infestations, indeed all fish diseases. In it you see the correct ranges for ph values, ammonia, nitrite and nitrate for the electric yellow. If you do this before you put in your fish they will receive less shocks, be less stressed and less prone to the opportunistic parasites and other fish diseases. I hope this page was of some help!